THE FARMHOUSE EMBRACES A CASUAL FEEL, AMERICAN RUSTIC ELEGANCE INSPIRED IN RALPH LAUREN AESTHETICS. 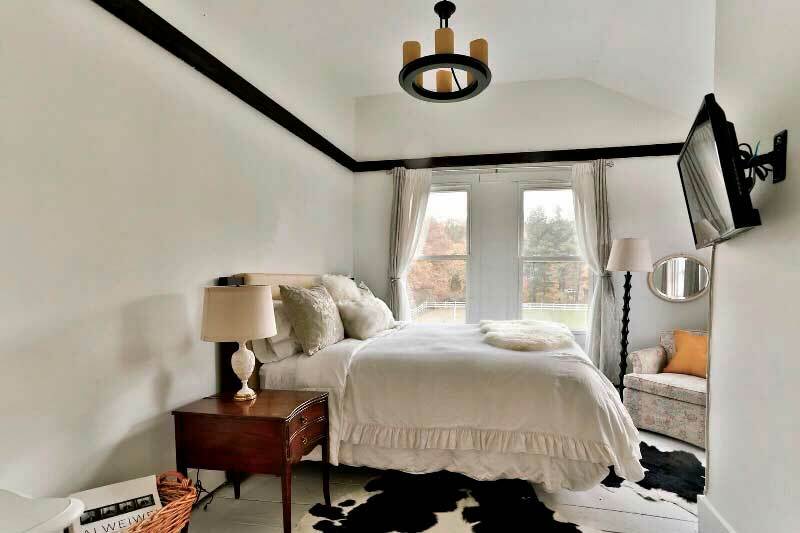 A KINF OF CHIC HUNTING LODGE, A BIT MASCULINE, LIVE-IN AND WARM, A “FARMHOUSE RETREAT”. DESIGNING THE HOUSE WE’VE ATTEMPTED TO STRIKE A BALANCE BETWEEN ROUGH AND LUXE. 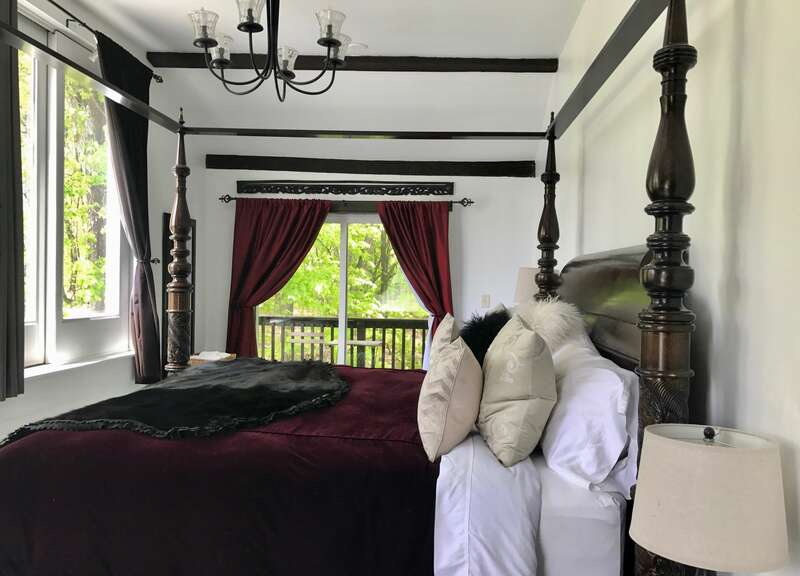 It was the original home of the first property owners dating about 1850 while the Dutch Barn was the animals stables; throughout the years it’s been renovated multiple times. Once inside you can feel the House personality, an independent space from the rest of the property that feels very private; the back of it is nestled in the green, miles of pristine wild woods, to better enjoy it we built a large deck with a stone fire pit. 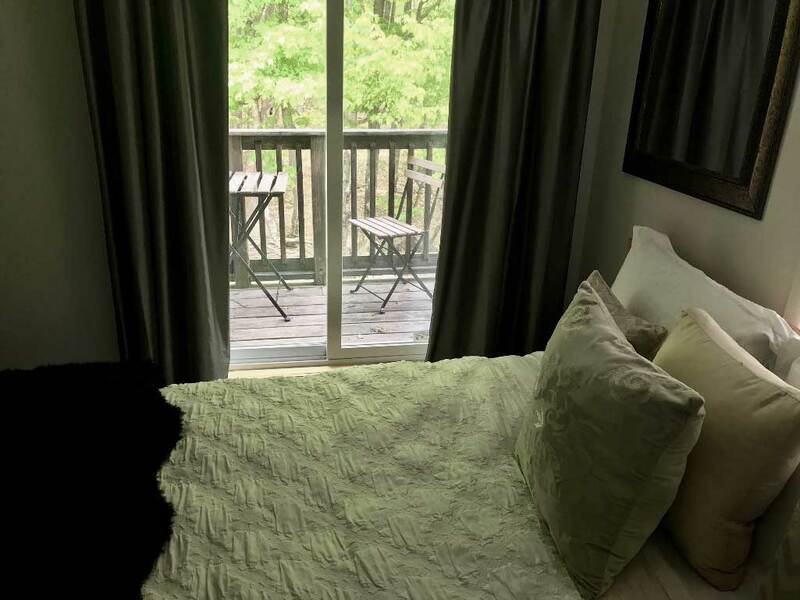 The place is perfect in the Summer as in the Winter where you’ll be surrounded by a backdrop of snowy landscapes, like a cocoon swathing you in a blanket of winter white. The House is a great place to share with family members or friends. There are three beautiful rooms and two full renovated bathrooms. Its also possible to rent out one room to ONE COUPLE ONLY, in that case the other two rooms will NOT be rented, the House then during that time would be for the private use of the couple. For reservations, please contact us. © 2017 The Kaaterskill. All rights reserved. An IP address is a number that is automatically assigned to your computer every time you browse the Internet. When users request a page from our site, our servers log the user’s current IP address. We use IP addresses to help diagnose problems. We do not link IP addresses to anything personally identifiable. Thus, each user session is anonymous. When we need to collect information from you, we will ask you to voluntarily supply us with the information we need. For example, if you would like to make a reservation at one of our hotels, we will ask you for information such as name, address, telephone number, e-mail address, credit card type, credit card number, expiration date and room preference to process your reservation. We will use your email address to send a confirmation and, if necessary, might use the other information to contact you for help to process the reservation. When we ask you for personal data when making a reservation or purchasing a gift certificate, including your name, address and credit card data, it is transferred over a Secured Sockets Layer (SSL) line provided you are using a SSL enabled browsersuch as Microsoft Internet Explorer or Netscape Navigator. This ensures that your information is encrypted as it travels over the Internet. This secure mode is enabled before any such information is transmitted from your computer. You will know you are in secure mode when the padlock icon in the lower right hand corner of the computer screen appears in the locked position. In addition, when accessing a secure server, the first characters of the site address with change from “http” to “https”. After information reaches us it is stored on a secure server that resides behind a firewall that is designed to block access from outside the Company. We may also ask you to fill out an online customer survey, to obtain your suggestions or comments about your use of our services, or for similar purposes. Providing this information is voluntary. We also, at times, may use an interactive dialogue product to assist visitors while on certain web pages. The content of the dialogue is not identifiable to you unless you voluntarily provide us with your name or other information regarding your identity. The dialogue product is used only to facilitate your visit by providing the additional information you request, and the content will not be stored and used by us except for quality assurance and statistical analysis purposes, so that we can better anticipate our prospective customers’ needs. We treat the information you provide to us as confidential information; it is, accordingly, subject to our company’s security procedures and strict corporate policies regarding protection and use of confidential information. Because laws applicable to personal information vary by country, our hotels or other business operations may put in place additional measures that vary depending on the applicable legal requirements. Information is generally processed and stored in the United States, in which data protection laws are not as comprehensive as in the European Union. Information gathered is used only for the purpose for which the information was collected and is not used or shared with other companies. The personal information you provide to us for making a reservation is made available to the applicable hotel for the purpose of meeting your reservation request. If you cancel your reservation, the information is stored for record keeping purposes only and is not accessed again. After completing your stay the information you provide may be used for direct marketing our hotel. We may use the services of a third party mail house for the sole purpose of mailing materials. We will not sell, trade, rent or release such information to entities outside of the Independent Collection, for their use without your approval and giving you the opportunity to opt-out. Links to Other Sites: If you choose to leave this site via links to other hotel sites, including those of advertisers, we are not responsible for the privacy policies or content of those sites, nor are we responsible for the cookies those sites might deposit on your hard drive. Our web sites do not sell products for purchase by children. If you are under 18, you may only use our web sites with the involvement of a parent or guardian. LEGAL ISSUES: We will disclose personal information when required by law or in good faith belief if such action is necessary or desirable to comply with the law, protect or defend the rights or property of our hotels, the site or its users. In the future, we may need to change the privacy statement for our properties. All changes will be made here so that you will always know what information we gather, how we might use that information and whether we will disclose it to anyone. Changes in the privacy statement will only affect our treatment of information supplied by you to us following the effective date of such changes, i.e., for information supplied by you prior to the change in the privacy statement, we will continue to honor the obligations of the privacy statement, for such information, in effect when the information was originally supplied by you. Information entered or re-entered following a change in the privacy statement will be governed by the new privacy statement. Your privacy concerns are important to us. We hope this privacy statement has been helpful to you. If you have any questions about this privacy statement or privacy concerns please contact us.